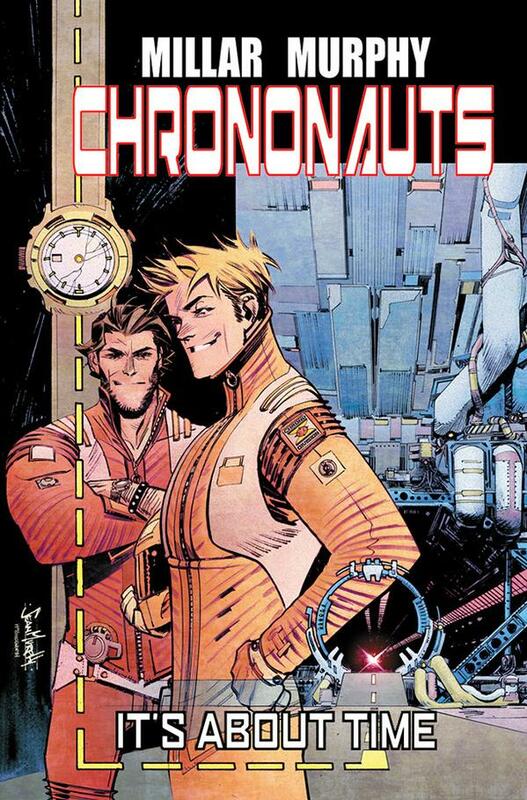 Here’s something nifty from the brilliant minds of Mark Millar and Sean Gordon Murphy – an optical illusion in the cover for Chrononauts # 1. Check out the watch face in the cover above and let us know what you see. Have a good look? OK. Apparently, artist Sean Gordon Murphy hid a nifty optical illusion in that watch face that can only be seen by a small minority of people. It’s a complicated explanation (laid out below), but basically most people see a simple watch face and a rare few see an hourglass.